From Saturday 20th June to Friday 29th June 2015, the carriageway of Warwick Road from Lincoln Road to Shirley Road roundabout will be closed. Bus Service 37 to City will be diverted via Warwick Road, Olton Boulevard East, Shirley Road and onto Warwick Road to continue normal line of route. 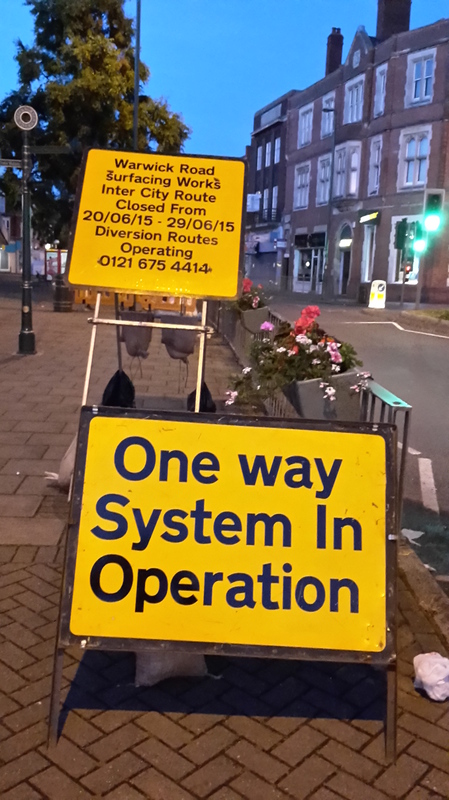 Traffic in the direction of Solihull, (including the 37 bus) will run along the normal route. ALL the roadworks in Acocks Green village should be completed by the second week of July and the completion of the Smart Route will be officially opened, with new street furniture and lots more trees and planters to follow. This entry was posted in Events and tagged 37 bus, Acocks Green, bus services, resurfacing, road works, Smart route, Warwick Road. Bookmark the permalink.